Are you wondering why choose Sydney Catamaran cruises? Sydney is a city of beauty and natural wonders. There are plenty of things that you can do including great cruising. Sydney has a striking and stunning coastline that you can explore. The astonishing view of the harbours can be enjoyed by going on a cruise. The best way to enjoy your spare time is by Catamaran cruise. So, this is a beautiful way to spend treasured time with your loved ones. This article highlights the reason why you should go on a Catamaran cruise. Let’s have a look at the reasons for choosing the Catamaran cruises. One of the reasons for going on a Sydney Catamaran cruises is to try something new and different. We are busy in our lives that it gets tedious and tiresome. To have a great weekend, you can go on a Catamaran cruise. You can get to meet many new people. There are plenty of things that you can do on a cruise. Like, have a delicious meal on the blue waters of Sydney. In this way, you will have an exciting and thrilling weekend. What can be better than going on a cruise with your favourite people? Thanks to the Catamaran cruise, you can sail across the water, feel the light breeze, and see the sun setting. The perfect way to get away from the bustling city life and troubles of life is by going on a cruise on a Sydney Harbour. If you want to bring some excitement to your life, go on a Catamaran cruise. Whether you are sailing for the first time or tenth time, there is always something new you can try. You can go fishing in a new spot or take the kayaks with you, or visit a new beach. In our everyday routine, we all are so busy that we hardly spend time together. We come back home after work, have dinner and watch TV, use Facebook or check our emails. The kids spend most of their time playing games or using their phones. We don’t pay much of the time with our families because of the distractions. The best way to catch up with everyone is by going on a Catamaran cruise. Most people think that going on a cruise is expensive and only for the rich. Also, this is a vast misconception; there are many companies offering deals for you to take your family on a cruise trip without breaking your bank. 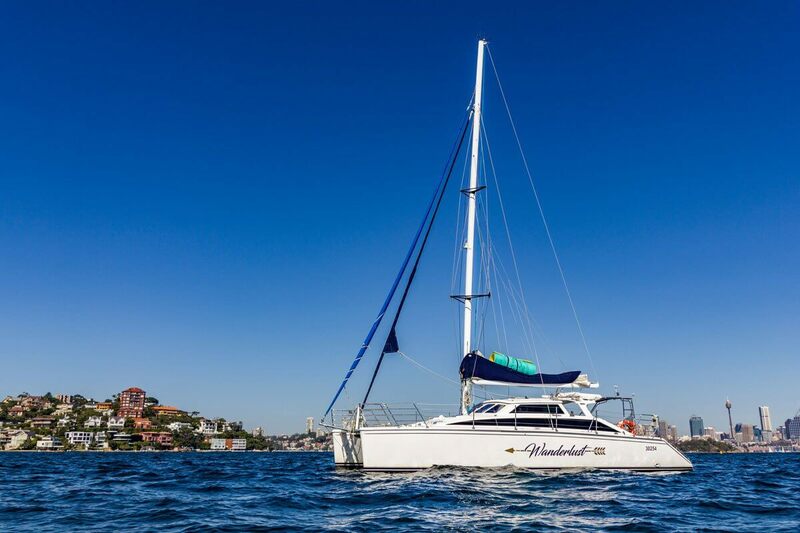 All in all, here are the reasons why choose Sydney Catamaran cruises. When you are going on a Catamaran cruise, you can spend a fantastic time with your family and friends. Also, this is a great way to strengthen your bond with your family. The cruise is affordable so it won’t cost you an arm and a leg. We offer various packages for all valuable customers. So, contact our friendly customer support professionals to get more information.